If an application for a case Reconsideration has played itself out without an original refusal having been overturned, where does that leave you in the appeal process? 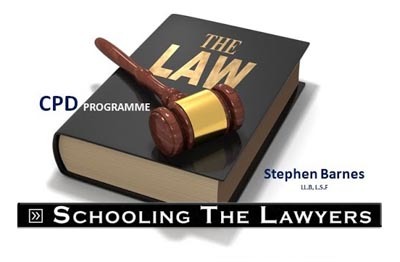 Until 1999, section 53 of the Immigration Ordinance was widely used as a means of final appeal for a large number of refused visa applicants as the mechanism allowed the applicant to remain in Hong Kong as a visitor pending the final review process which often took 12-24 months. This liberal application of policy was almost inevitably abused. It had the effect of enabling employment visa applications from people who really didn’t have much chance of satisfying the approvability test but came to Hong Kong as visitors, applied for a change of status while in Hong Kong, and then used the fact of their application pending as a means to secure a de facto extension to their visitor visa all throughout. For some nationalities, particularly those from the subcontinent, this manipulation of the processing and consideration mechanisms meant that often two to two and half years would pass before the entire application consideration process from initial submission through to final review report was finalized. In this time, such applicants were physically present in Hong Kong and the temptation for them to breach their conditions of stay by taking up employment unauthorized by the Immigration Department was manifest. Some might say the process was simply misused by the applicants. Nevertheless, at a stroke, one day in 1999, the Immigration Department changed the policy and no longer extended the visitor visas to applicants who are undergoing section 53 review. 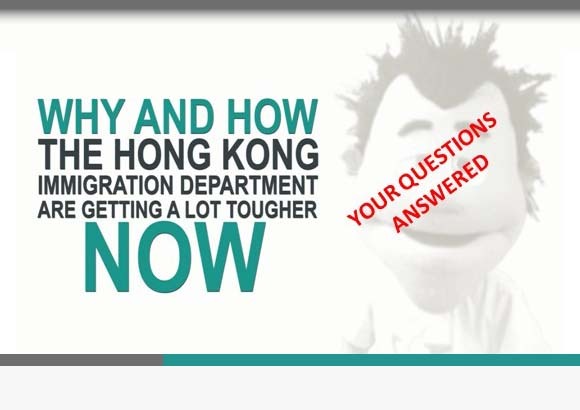 These had the effect of diminishing the role of section 53 considerably for disgruntled employment visa applicants and consequently tends not to play a significant part in the practice of Hong Kong Immigration advisers these days. There is, however, the remote possibility of a final throw-yourself-at-the-feet-of-the-chief executive appeal as we have once in 30 years of combined practice had the opportunity to travel this route and was successful in the process. It must be stressed, however, that there must be a substantial matter of public interest at stake and such an application should not be made lightly. Frivolous applicants will simply not be entertained and will no doubt have an adverse impact on their immigration record. At some stage, the Immigration Department will have fully played out their role in considering your application and it does inevitably come a time when the result really is final. So, in the two years, just prior to the 1997 hand back to China, Hong Kong’s economy was booming. These positive economic conditions naturally enough coloured the Immigration Department’s view of the world and impacted on how they viewed implementation of visa policy. However, quite soon after the handover, Asia slipped into a deep economic crises led by Thailand and Hong Kong went into a serious slump as it played itself out. In this time we had a client who was an operator of specialty bookshops in another Asian country. This client’s operations were very large and they were investment-bank backed candidates for public listing in their home country. This client’s bookshops were revolutionary in how they retail books. They display the books on the shelves in a non-traditional way and employ people to work in their shops who are experts in a particular field. In fact a necessary condition of employment is that their employees have to read one book a week from the dedicated section of the shop that they service. This enables staff to talk knowledgeably to customers and genuinely help them make the right book choice and, compared to traditional book retail was revolutionary, taking the region by storm – and Hong Kong was next. In the beginning of 1997, our client opened their first of four initial outlets in Hong Kong and they were planning on a final total of 12 over a 3-year investment period and their business plan called for the creation of at least 150 new jobs in the HKSAR. In the latter part of 1997, when the financial crisis was biting hard, our client had an employment visa application refused for one of their managers who was transferring to Hong Kong from the home country operation to open a second shop in the HKSAR. Upon review of the paperwork, it became apparent to us that the problem lay in the fact that the local Hong Kong staffer who had crafted the application had treated the case merely as an administrative one and had not made any effort to substantiate the argument within the context of our client’s business operations. The job title of ‘book-seller’ for the manager as it was detailed on his letter of appointment, was actually not only an exercise in branding but also descriptive of a new definition which our client’s mode of retailing book represented for people who sold books. So, we made a confident application for Reconsideration which was refused within two weeks. We were dumbfounded as was our client. We submitted a further Reconsideration which in and of itself was especially unusual. Two weeks later, no change in mind on the part of the Immigration Department. In the meantime, our client was getting very upset. His manager was due to oversee the opening of the new bookshop in three weeks and everything was a mess, books were arriving and were not being placed on shelves and new staff were unable to be trained. Chaos reigned writ large and the client was seriously thinking that they would pull the rest of their investment from Hong Kong. As for the posture of the Immigration Department, they were locked into the idea that a book-seller is a simple job that anyone local could do, and it was actually making it impossible for them to deliver on their investment plan – and all this was happening at a time when Hong Kong was loosing 5,000 retail jobs a week due to the economic downturn. When it became apparent that the Immigration Department wouldn’t budge we decided to appeal directly to the Chief Executive. Long story short, the visa was approved within five days of having lodged the appeal! Is it a good or a bad sign that the Hong Kong Immigration Department keep coming back with requests for further information? My Hong Kong employment visa application has been refused – what can I do now?